Medical illustration of the lateral cross sectional view of the lumbar spine at L4-L5 showing the stages of vertebral disc herniation. These illustrations were designed as a patient education series. Normal view of the anatomy is shown with hotspots for key parts of the anatomy, which helps to orient the patient as to what the lumbar region of the spine should look like normally. 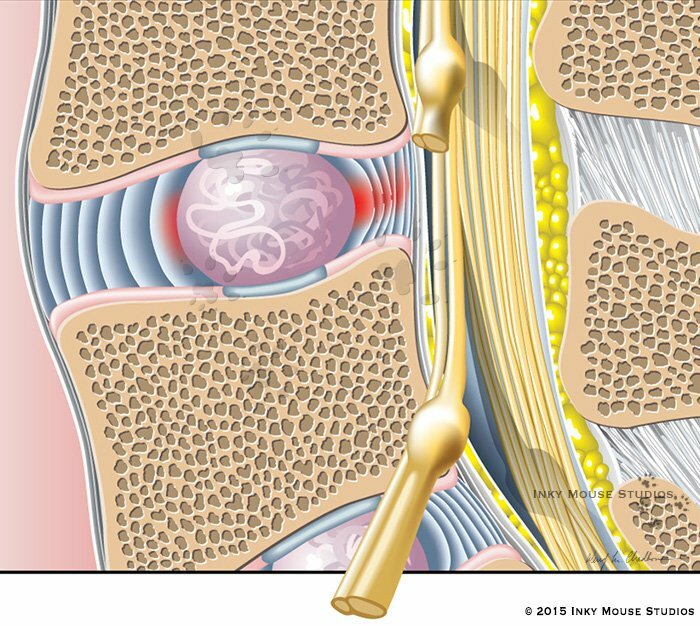 Stage 1 of vertebral disc herniation is the degeneration of the anulus fibrosus, which allows the nucleus pulposus to shift out of it’s normal position. 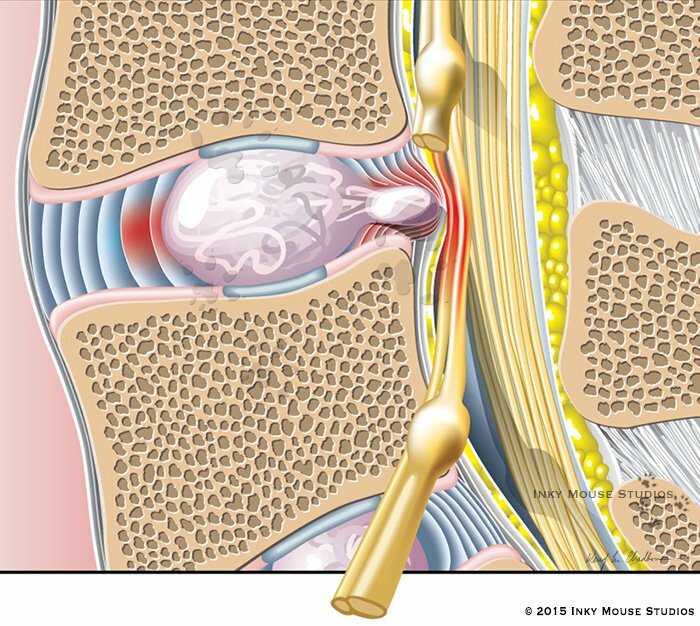 Stage 2 of vertebral disc herniation is the prolapse of the nucleus pulposus as the the anulus fibrosus continues to degenerate, this allows the vertebral disc to protrude into the epidural space causing some nerve irritation. 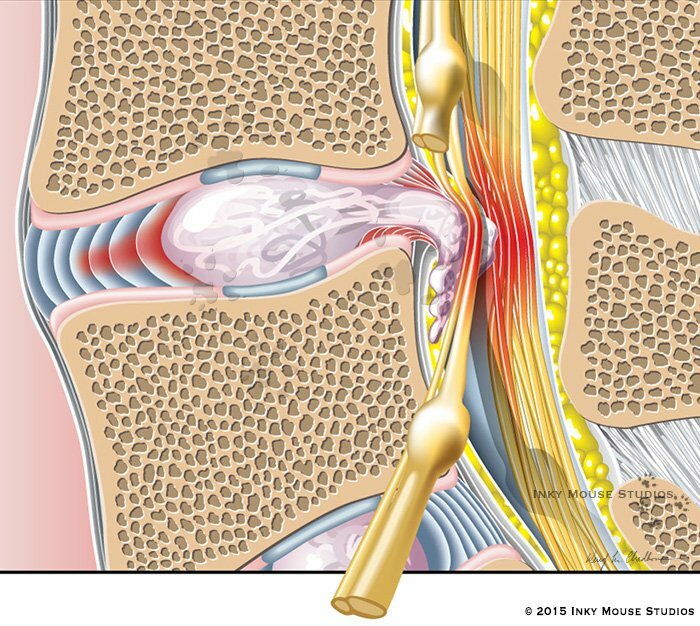 Stage 3 of vertebral disc herniation is the extrusion of the nucleus pulposus when the disc ruptures, resulting in more nerve irritation and some impingements. 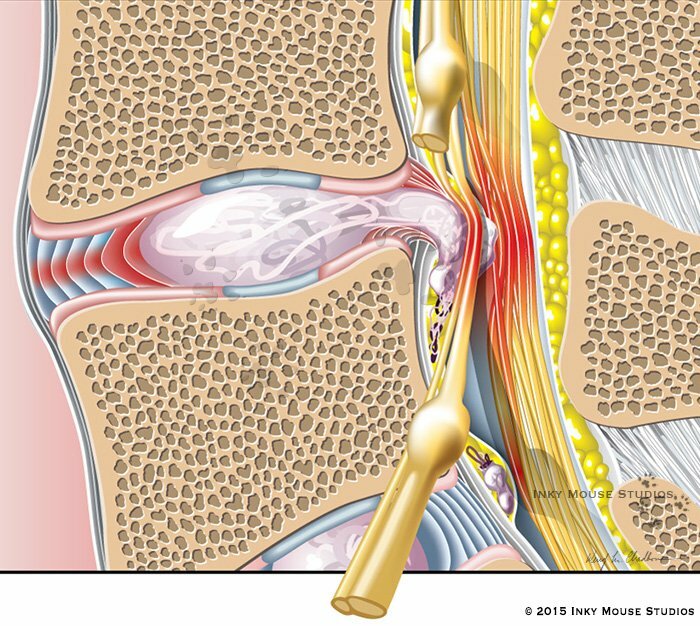 Stage 4 of vertebral disc herniation is the sequestration of fragments of the nucleus pulposus into the epidural space, which causes intense irritation and more nerve impingement.